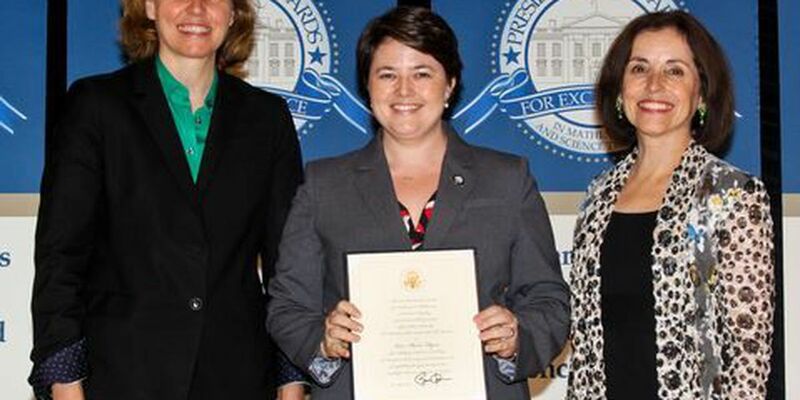 Local teacher receives national award in Washington D.C.
HONOLULU (HawaiiNewsNow) - A local teacher recently received The Presidential Award for Excellence in Mathematics and Science Teaching in Washington, D.C.
Sacred Hearts Academy teacher Erin Flynn received the award on July 30, 2015. The Presidential Award for Excellence in Mathematics and Science Teaching (PAEMST) is awarded annually to outstanding K-12 science and mathematics teachers from across the country. The PAEMST are the nation's highest honors for teachers of math and science. Each year the award alternates between teachers teaching kindergarten through 6th grade and those teaching 7th through 12th grades.